I’m on the hunt for a new therapist because mine is moving to a practice that doesn’t take my insurance. Hopefully I can find another good match soon but until then, there’s this Instagram. 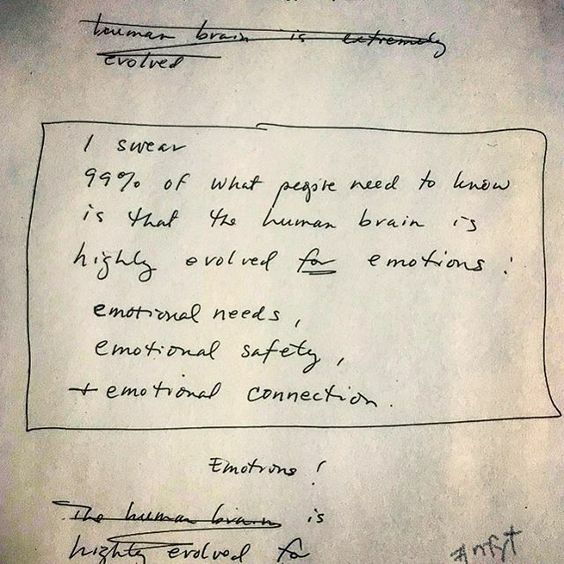 I found this via Austin Kleon on Twitter and I was hooked after the first two paragraphs. “The Miracle of The Mundane“, from Heather Havrilesky’s essay collection What If This Were Enough?, has Mozart and connection and acceptance and is well worth your time. I had a hard time picking a pull quote, because the whole thing is so good. Living simply today takes work. It takes work to overcome the noise that has accumulated in our heads, growing louder and more pervasive since we were young. It takes work to overcome the illusion that we will arrive at some end point where we will be better — more successful, adored, satisfied, relaxed, rich. It takes hard work to say, “This is how I am,” in a calm voice, without anxiously addressing how you should be. It takes work to shift your focus from the smudges on the window to the view outside. I was on the hold list for this book for a long time and finally picked it up from the library last week. It’s fascinating! Granted, I’m reading it with a certain sense of smugness–since I started lifting last summer, I’ve made sure to get eight hours of sleep a night (because sleep is when your muscles rebuild and grow, bro! )–but it makes me want to make sleep even more of a priority. In addition to worrying about Toby’s ear (which is really slow to respond to medicine), this week’s stresses included a trip to Instacare Monday because I was afraid I’d broken my toe. The good news: it’s not broken. The bad news: it might be a neuroma, which is chronic. I’m sitting out the gym this week–so my shoulders won’t be immediately getting broader–but I thought this piece of Instagram wisdom was good. It’s all about building resilience. And getting cannonball shoulders. In other words, hours of dystopian arthouse fun!